When I go there, I get a red message saying "there is nothing here". I just don't get that reddit thing, it never seems to work for me and is a hell of confusing website. Assassination, I'm hoping for alot of different kinds of those. Seeing as we almost always see the expert level "don't kill anyone" objective, to go out of your way to plan and execute your target actually fits thief well with the stealth mechanics & mines and firearrows that rarely get any use, it would be cool if the target was well guarded and you'd have to either fight it out hard or find creative ways to either lure them away or stage a accident. Now that dropping things on peoples heads can kill them as of 1.08, its perfect timing!! Aslong as the pre-existing work hasn't been released before, than its ok. Not like anyone would be able to prove it otherwise. As soon as the guidelines are presented then mapping should begin. I don't buy the categories thing of WIP vs fresh because why should they be treated differently, and if they are how should they be treated differently, what would constitute as fair. Also how would one differentiate WIP vs fresh if only some of the content in the WIP was made previously, but most the levels was made after the competition. It's just pointless bickering & thinking to much. Its like how bikerdude tried to put shadowhides work up to scratch with the other fm's, alot of work into trying to make the fm something its not... long. Thankfully he decided to use his levels for something else & only did optimization and graphical enhancements. Fact is if a mission is fun or beautiful which you don't need any longer than 3 months worth of work to make, any time spent more only makes things larger & more polished, not necessarily more fun. This advantage could be one gained by different people in the future. Either way seasoned mappers are going to make better missions so trying to 'even the playing field' by judging them differently is absurd, is it not? Edited by TheUnbeholden, 17 December 2012 - 08:05 PM. Sooooo...how is the progress going for the contestants? Zero progress. No time. No motivation. I'm working on my map like a mutha! Unfortunately there's no way I'm going to finish this in 3 months. I dont think I'll even finish it in 6 months. I designed this map before the contest was anounced so it wasn't designed with 3 months in mind. Good luck to everyone still involved. I look forward to playing the entries. Progress is slowly but steady. I think I could be able to finish the map within the the next two months, but I'm not a hundret percent sure about this due to real life stuff. Even if I would finish it before deadline It would be mainly concentrated on gameplay and will most probably lack in reference to eye candy. If most contestants having problems with the timeline I would have no problem to expand it. IMHO epanding the timeline would only make sense if the contestants would benefit from that. If people don't get things finished within six months either, ... well. I have a great movement related trick that someone could use... I might have talked about it once on the forum, but I've never seen it actually used in a map before. I will sell you my secrets for a fair price! You could debate extending the deadline closer to it so people have a better idea of how much extra time they really need, I think... I mean you could do it in principle now, but for actually setting a date you might hold off and just let people build and see how far they get. I'm all for extending the contest to six months if it means we get more entries. Personally I'm still not sure if I can finish my FM by then. I could leave stuff out but its much more important to me that my artistic vision for my FM stays intact instead of entering the contest. Sure, no objections to any schedule alterations. 6 months is fine. As long as people are allowed to release their missions if they happen to get 'em done early. I wouldn't mind the extra time. I'm still in the experimental stages of a few things I'd like to put into a rather unusual map. Maybe it would be a better idea to discuss this when we are, like demagogue said, a bit closer to the deadline. So maybe in a month or so, as there is only one third of the total time elapsed by now. I mean the whole sense behind a contest is to have some sort of time pressure and maybe some of you will be able to make good progress anytime soon. I just fear that we meet her back in three months again and someone is posting "what about extending the timeline to 9 months?". Another idea would be that, if we really extend the timeline, we only do this by a month or so. I think I've finally mastered the modular building concept fully. Here is a WIP shot along which I try to explain how to design and build modularily. Maybe some of my fellow contestants or new mappers find these useful! Pictures are not really spoilers, but I put them in tags so that people can click them open if they want. What in this scene is unusual is that it was never built directly into the place it now is (the conventional way). It was built part-by-part in a separate map file. 0) A simple boxy room was mapped. The room obeys grid size of 144x144. This means that each grid cell has floor of 144x144. Room boundary walls are ON this floor brush, meaning there is 136x136 units of module stuff remaining on each grid cell. 1) Each of the wall & ceiling pieces was built in another map (faster dmapping to inspect work quality ingame). The wall pieces were built for grid size 144x144. 3) Ase models were filled in the simple boxy room. 4) Skins were made for modules (simple text editing) in order to get variants with different paint paper color. 5) Grime variants were made for the modules. Basically a grime variant can be simply a skin of the original module, but I made the grime modules into separate modules so that I can tune the grime texture as I please. A grime module is basically an identical geometry piece as the original, but covered with grime texture. The mapper snaps it onto the 'clean' module to grime it up. 7) Additional detail modules were made: peeling paint paper, snap-on slime drip. These must be built by hand. Every time a new piece is made, it is made into .ase for reusability and memory saving. Basically I could select the whole mess as shown, rotate it a bit and place it into 4 corners of a new room. Add straight wall+ceiling modules between the corners and I have a new, highly detailed room in less than few minutes! Also see how the whole stuff fits the 144x144 grid specification, leaving room for void separating walls. The modules will not seal against the void, of course. 1) reusability. If I want to make a room with this architectural style, I already have the modules. I just need to attach them like lego pieces. Room shape can be varied as desired, but only in the 144x144 quanta. If I need to make some kind of special features like niches, I make modules for those. 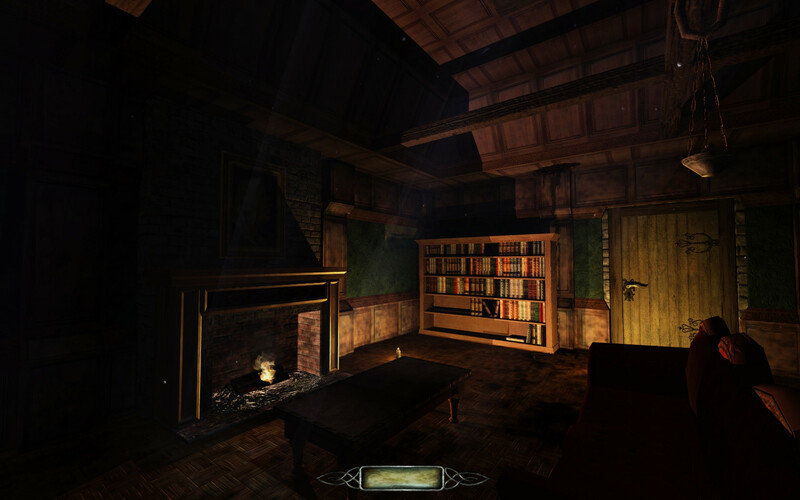 Room shape could be altered with building new, angled modules, for example. Then I can always use those pieces with no need to remap. 2) Lower memory impact. As all the pieces are reused, the map will take less memory, which is certainly a good thing in these malloc error troubled times. 3) Ultra-easy and fast mapping. Just put lego pieces together. When you need something new, do a new piece. (Or simply do a new skin!) Entire new piece is fast to do in a separate map as dmapping is ultra fast. 4) In principle, you could overwrite existing module with a newer, improved version and you whole map should be auto-updated. In principle, because the new module should be very similar in dimensions. So the fundamental difference is the way of thinking. Not conventional brush by brush, room by room. 0) Stick to the grid. 2) If a module is missing, build the module. Oh, and keep your module build.map files so you can always access the original module buildings. It is really easy and fast to retouch those for new pieces. The difficult thing is that designing modules need some time to get used to. But imagine... If every single piece you ever build can be reusable. After a few maps you have (or the entire community!) has a portfolio of high quality modules almost anyone can use to mash up a map. Like lego-pieces. ehm... yeah, sorry to interrupt the thread discussion. I'm anxious to play some missions I even replayed some lately. I...might just be joining this contest. Perhaps. Right now it's just an experiment gone rampant, so I don't know if I'll be able to transform it into a mission. Can one still join this contest? I have a tiny map that I have been working on in January, mostly today. And (unitil today) I did not think it would be done anywhere in time for the contest. Yes, late entries are welcome. Do we have a consensus about whether the deadline at the end of March should be extended?